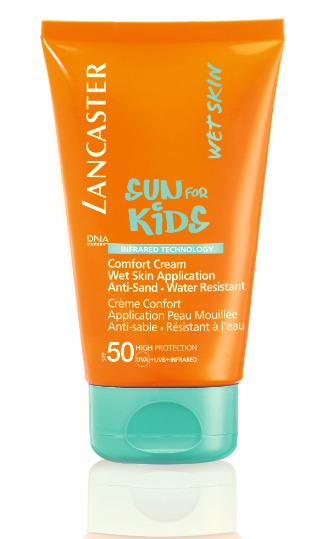 I love love love Lancaster's sun protection range! Just check out the reviews that I previously did!! So when I received an email about their kids range I was soooo happy because I'm always looking for a good SPF for when I take my baby brother and cousins to the pool! Their products smell amazing, are very effective and invisible! Keeping you protected without looking like a ghost! They have two types of SPF, a mist for the body and a cream for the face and and and they are sooo creamy! That's awesome! :) Enjoy it!